One protected area at a time, Sweden and Norway have been expanding the use of the Open Standards for the Practice of Conservation to improve collaboration and develop sound management plans. This work started in 2008 when FOS guided a Swedish to improve collaboration and develop sound management plans. This work started in 2008 when FOS guided a Swedish team and a wide array of stakeholders through a planning process for Kosterhavets National Park, the first national marine park in Sweden, managed by the Swedish Environmental Protection Agency (SEPA). 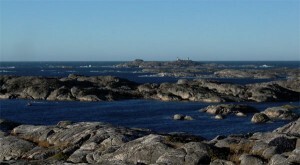 Participants from the Norwegian government agency, Fylkesmannen, then applied the adaptive management principles to Ytre Hvaler National Park, an area adjacent to Kosterhavets. This led to formal cross-border collaboration and both parks were officially opened in September 2009 by the royal families of Sweden and Norway as their nations’ first transboundary marine park.